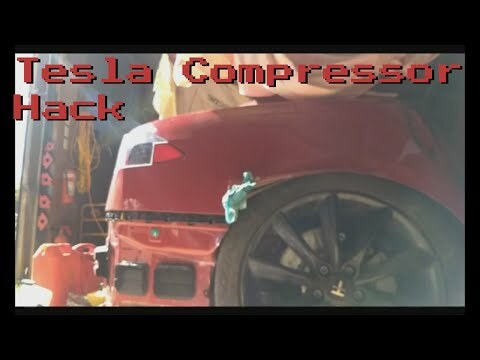 Tesla Compressor Hack! How High Does it go? I needed the Model S P100D wreck to stand up. I asked nicely but it wouldn’t. I couldn’t figure out the valves so I bypassed them.